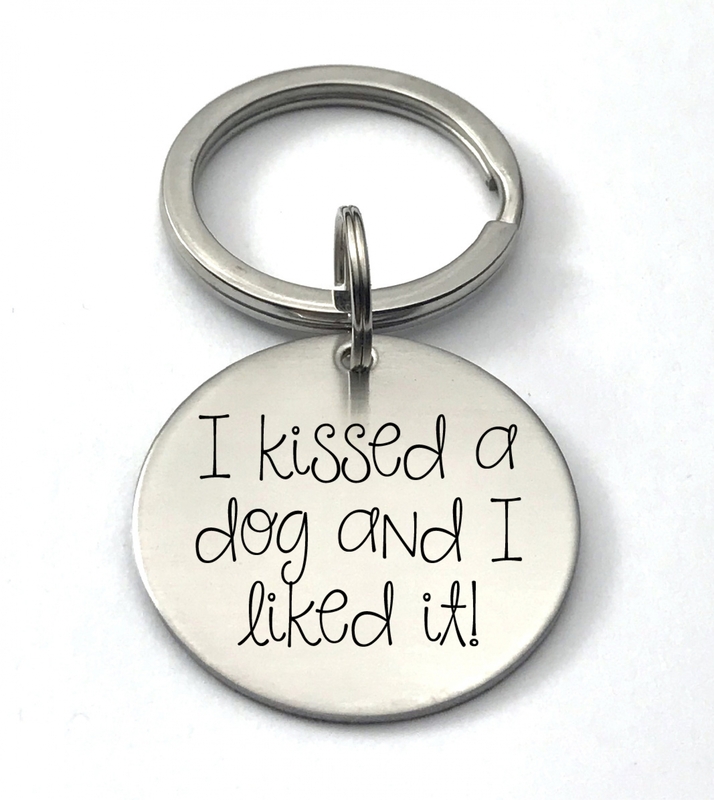 A 1-1/4-inch diameter high quality stainless steel keychain engraved as shown in the sample photos with "I kissed a dog and I liked it". Perfect gift for dog lovers! Stainless steel is an extremely durable metal that will not rust or tarnish. .
Critter Bling pet tags and key chains make a great birthday or Christmas gift for the pet people in your life!